If you have not heard about sitemap, it is a file which we upload to our server to tell google about the link structure of our website. To be more clear, site map is a list of links of your website which can be created either in xml format or html format. There is a debate going on for a long time among web masters, whether sitemap is necessary or not. My answer is if you are targeting traffic only from google then sitemap is not mandatory since google can crawl your whole website without missing a single web page. On the other hand if you want other search engines link Bing, Baidu, Yandex…etc to have your web page indexed then it is a better idea to add a sitemap. There are two major types of sitemaps XML and HTML. The XML sitemap is used to show your list of page URL’s to search engines. Whereas HTML sitemap is used to show your site hierarchy and page URL’s to your users. Ok, so now we have discussed about sitemap let us see the websites with which we can create sitemaps. XML-Sitemaps is one of the most popular websites to create sitemap automatically. The sitemap can be generated of up to 500 web pages at a single time. There are also options to change the frequency of content and priority can also be set for different pages. Setting a priority is highly recommended since this helps search engines to understand the hierarchy of web pages in the website. After filling all the boxes you need to hit the start button to generate the sitemap. Other than the XML sitemap, sitemaps can also be generated in text or html format. 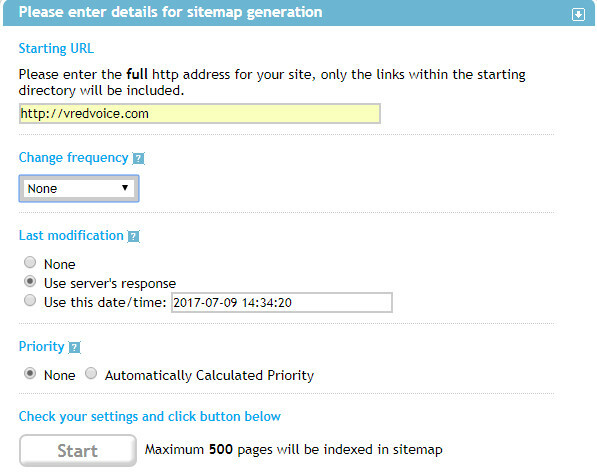 Xmlsitemapgenerator is another popular website to generate sitemap. The website is user-friendly and sitemaps generated have are compatible with different search engines. If you are using WordPress as a content management system then you can use their WordPress Sitemap Generator plugin. Which helps in creating dynamic sitemaps instantly. There is also a windows desktop version sitemap creator which can be downloaded and used for creating sitemaps. This website is very much similar to xml-sitemaps.com. Here also you can set frequency and priority for your web pages. But, the problem with this website is it asks for your email address which we think is not at all necessary. Other than that this website does what it says and the limit is 2000 pages. Screamingfrog is the best option for generating a complete sitemap of your website. There are both free version and paid version. This is one of the most used tool by many digital marketers and seo companies. The data provided by this tool is highly accurate. Even image sitemaps can be generated using this tool. 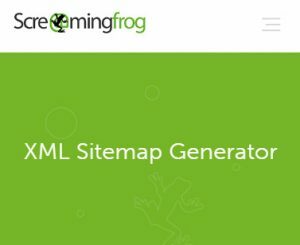 You can find more about on how to create the xml sitemap using screaming frog here: Create xml sitemap using screamingfrog. XML sitemaps can be generated by just using the free version. Not only sitemaps we can also find duplicate pages, analyse page titles and meta, find broken links, errors and redirects by just using the free version. 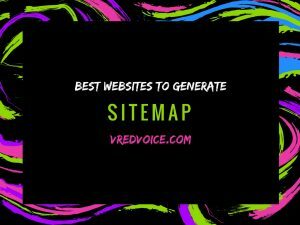 From reading the above article you can see that generating sitemaps has become easier than ever. The above three websites are the top websites to create sitemaps automatically for free. But, you should also keep in mind that sitemaps generated from all the three websites should be compared and missing pages should be added. Having a complete and updated sitemaps helps your web page to index quickly. You will also see a instant improvement in search engine ranking and organic traffic.